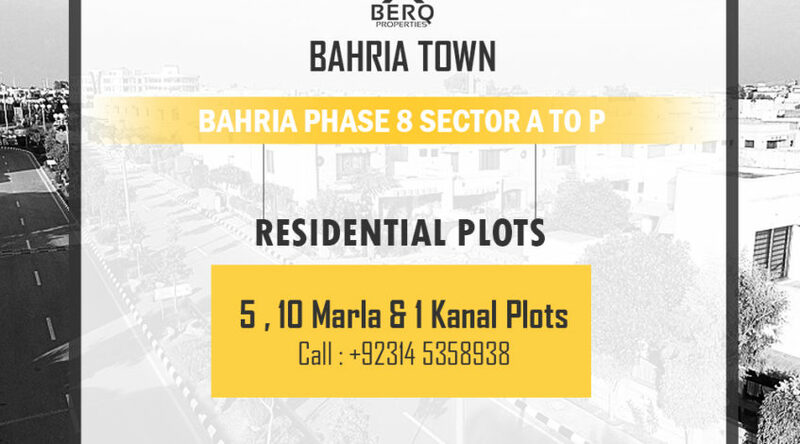 Bahria Town Phase 8 Sector A to P are located in Bahria Town Rawalpindi. The residential plots of Sector A to P were launched in September 2003 and they are now available in the market on resale. The first three sectors A, B and C is quite developed and many houses are already constructed and people are living there. A large number of plots available for sale in the market at investor price. Development work at the Phases 8 is in full swing. Only 35% of the available land is being utilized to form the residential plots and 65% of the area has been allocated for the public amenities and facilities. This promises Phase 8 Bahria Town to be the center of commercial and recreational activity for the residents of DHA as well as other neighboring societies.